Check Out This Investment Or Starter Home Opportunity! Located in an established neighborhood, this home has so much to offer and is ready for your improvements. Convenient 3 bed floorplan offers ample size living room and secondary bedrooms. Spacious kitchen is equipped with gas stove and plenty of cabinet space. Sliding patio doors lead to a large fenced back yard surrounded by mature trees. 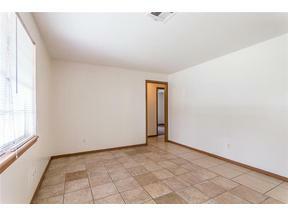 Low maintenance tile flooring throughout common areas and new carpet in the bedrooms. No maintenance worries with updated AC unit, hot water tank, and roof. Don’t miss this great opportunity to add to your investment portfolio or snag a great deal on a starter home. Located just minutes to I-240 makes an easy commute to anywhere. Homes priced this low don’t last long. Put this one first and end your search! Information not guaranteed. Buyer must verify.